The first study phase of the PflegeTab project commenced in July 2015. The aim of this current phase is to assess attitudes of professional caregivers towards technology use, both in the leisure and in the workplace environment. To this end, a special questionnaire will be completed by multidiciplinary members of the Domicil nursing home staff in Berlin. Addtionally, guided interviews will be conducted with occupational therapists and professional caregivers from the Domicil workforce. Based on the study results, the project team is hoping to gain important insights for the realisation of a tablet-based activation programme for nursing home residents suffering from dementia. The goal is to identify facilitating factors, but also possible barriers for the use of tablet computers in a nursing home setting. 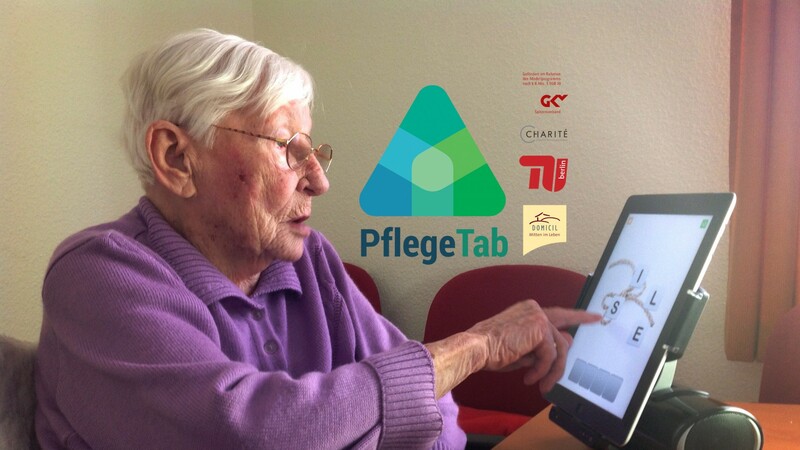 The results of this study will be directly integrated into the development of the PflegeTab concept for tablet-based activation.